For his first botanical garden exhibition outside of the United States, Dale Chihuly installs an elaborate collection of glass at the Royal Botanical Gardens, Kew, just outside of London. Placed inside Victorian glasshouses and among outdoor plant collections, more than twenty-five installations come together in Gardens of Glass: Chihuly at Kew to cover the 132-hectare (some 325 acres) World Heritage Site.The Chihuly at Kew book celebrates this grand effort and illustrates Chihuly’s previous installations at outdoor locations and in glasshouses. More than eighty images reveal the evolution of this work, including photos from his major exhibitions at Garfield Park Conservatory in Illinois, Frederik Meijer Gardens & Sculpture Park in Michigan, Franklin Park Conservatory in Ohio, and Atlanta Botanical Garden in Georgia. 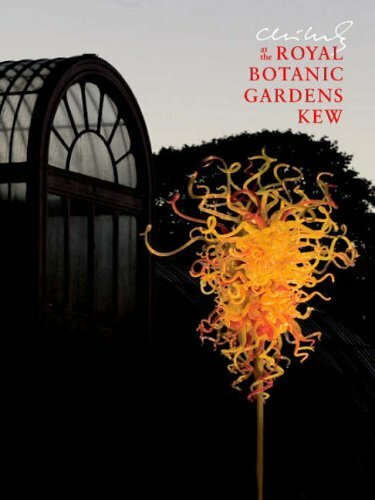 Also included is a chronicle of the rich 350-year history of Kew Gardens.